Breathtaking views!! 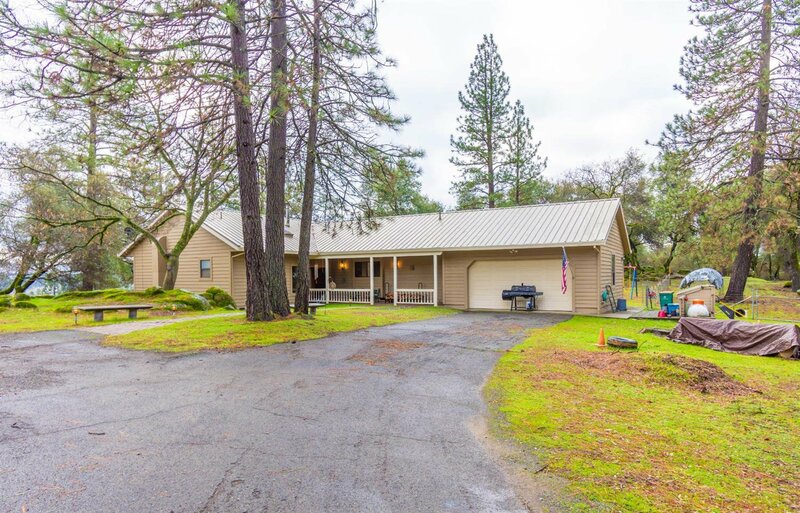 Charming Placerville home nestled on 15 acres of rolling hills! Property features beautiful flooring, wood beamed ceilings, family room leading to spacious deck! Kitchen offers ample storage and counter space with eat in breakfast nook. Generous sized bedrooms, completely move in ready! Fenced yard, plenty of space for entertaining, enjoy the serene setting and toys too! Don't miss out! Listing courtesy of Exp Realty Of California Inc.. Selling Office: Lyon Real Estate Placerville.